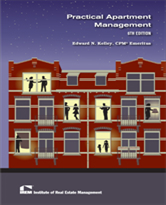 IREM Marketing & Communications books, courses, forms, and webinars will help you expand your skill set and provide resources for every step of your career development. No matter your level of experience and expertise. Why use antiquated marketing techniques in today's marketplace? 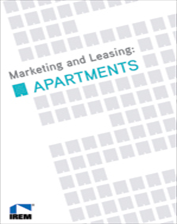 Revolutionize your marketing strategy and increase your property bottom line. 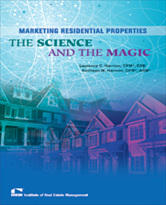 Don't fall behind the times or behind your competition - with a little science and a little magic, you can transform your residential marketing strategy and your staff into a dream team of success! 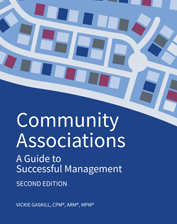 Click here to view Chapter Sample. 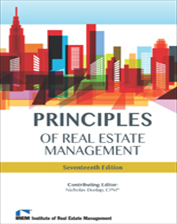 This seventeenth edition of Principles of Real Estate Management highlights the current changes within today’s economy and their impact on real estate management, including online marketing techniques through social media and other outlets, the impact of sustainability, as well as sound maintenance techniques to keep any property primed for occupancy. 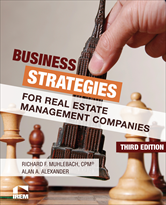 Along with covering the foundations of real estate and economics, this edition also features more in-depth information on marketing and branding with additional images and graphics throughout. 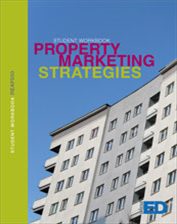 Student workbook for REAP550: Property Marketing Strategies examines the strategies necessary to effectively market and lease different types of properties. 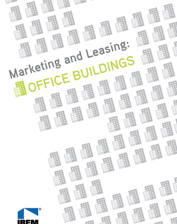 Students will learn the characteristics of office buildings, retail properties, and multi-family properties, how to assess market conditions, conduct market analyses, and develop marketing plans including advertising and social media marketing. 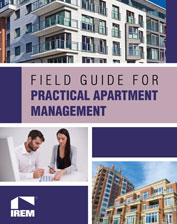 Finally, the role of leases will be examined including lease techniques and lease negotiation, lease provisions, concessions, renewals, lease administration, and resident and commercial tenant retention programs. In today’s global commercial and retail real estate arena, getting and keeping quality tenants is more of a struggle than ever before. 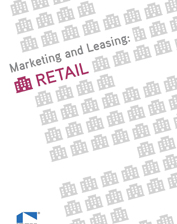 Small tenants (under 10,000 square feet) are often the mainstay of office buildings, industrial properties, and retail centers. They also can pose specific challenges. 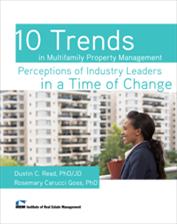 It is critical for real estate professionals to understand how they can partner with these tenants to create overall synergy and value for a property.